One wonderful effect motherhood had on me is that I became wiser when it comes to my/our finances. Having grown in a family of limited resources and having an education sponsored by my sisters, I’ve always been a good steward of money (I believe so!) with just occasional set-backs, a.k.a splurging whenever self-pity sets in as I remember how I’ve been deprived of the things I want and sometimes need, while growing up. Being the one who has a background in Finance, I’m the one who sort of took charge directing the financial life of our family. Directing your family’s finances is no easy feat especially if you look long-term and at the whole picture. It can be very overwhelming. However, it’s necessary to have that view at least once a year for you to make a sound financial plan that lines up your strategies for the whole year towards your main goal. More about financial planning on my later posts. 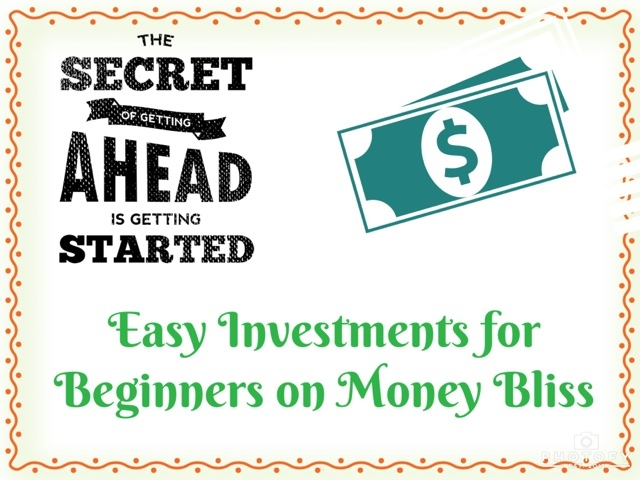 In the meantime, we focus on simple starters that will enable you to form good financial habits. Let’s also skip the lecture on how to save money because it’s more out of the box, in my opinion. I mean, different situations call for different saving strategies, right? Let’s move to what’s next after saving and that is to invest. Investment is defined by investopedia.com as a monetary asset purchased with the idea that the asset will provide income in the future or appreciate and be sold at a higher price. In my years in Finance and with my personal application of what I’ve learned and what I’ve read from various resource materials, I’ve come to acknowledge that the only way for people to realize their dreams is through investing whether of money, talent, time, energy or all. No amount or length of saving money could give us our dreams. Now, the word investing may scare you away but when it comes to making our dreams come true, is it not supposed to be that way — scary? If a dream is not scary enough, be really scared because it means it’s not as big as dreams should be. Besides, what’s the point of dreaming if it is too easy to achieve if it’s within your comfort zone? To achieve a dream (for me) is to push yourself to endless possibilities, to go beyond limits and to conquer fears. God gives us our dreams and the tools to achieve them making us live our lives to the fullest! That for me is the beauty of dreams. Thankfully, there are investments that can help us afford our dreams. So, I’m here telling you not to be afraid to invest for the realization of your dreams. To help you cast those fears away, as a warm-up, here are some easy investments you can make with your first sum of savings (assuming you’re way past the Saving Stage already!). The following are for beginners, okay? To those who have no idea where to put their extra stash of money, please read on, this is for you! 1. Time Deposits. This is very common and the most popular. You place your money in the bank and for 3 months (minimum) you cannot touch/withdraw it. After the 3-month period (or holding period), you can now withdraw your money including the “small” interest it earned. This is best for short-term investments, which is when you expect to use the funds for 3 months. Also, be warned that most TDs are auto-renewed, meaning if you do not terminate them at the end of the holding period they will roll-over for the same terms. This is a good start to form the habit of saving and investing. Risk: No to Low Risk, as it is covered by PDIC Insurance since it’s a deposit account. 2. Unit Investment Trust Fund. This is offered by any commercial banks (PNB, BPI, BDO, Security Bank, PS Bank, etc.). So, if you have a savings account with a reputable bank already, you can at any time ask their representative to assist you with this service. You can also do this through online banking which I find very easy and convenient. Every payday before I withdraw from my ATM, I log-in first and make an investment. UITFs give investors a lot of choices from low-risk funds to high-risk funds. Basically, the bank pools funds from investors and the bank through a hired investment manager does everything in its power for the pooled funds to grow and make profits. This is however not covered by PDIC Insurance. I still think that it’s a safe investment since UITFs are regulated by Bangko Sentral ng Pilipinas, as long as you do it with solid or reputable banks. Minimum Holding Period: 1 month to 5 years (varies per bank) Good for medium to long-term investment. Risk: Varies per type of investment. Not covered by PDIC Insurance since it’s not a deposit account but regulated by Bangko Sentral ng Pilipinas. 3. Mutual Fund. This is offered by financial institutions such as brokerage firms and insurance companies. It works similar to the UITF, pooling funds of the investor and having an investment manager. Only, an investor is buying shares in mutual funds and units in UITFs. Just the terms but the concept are similar. The types of investments are diverse too from low-risks to high-risks. This is also not covered by PDIC but Mutual Funds are regulated by the Securities and Exchange Commission. However, unlike with UITF which you can do online, my experience with Mutual Funds is not quite convenient because after making a deposit to my account I will have to e-mail or fax the forms and deposit slips to the financial institution I’m enrolled at. Although I think, COL Financial has solved this inconvenience by now. That, I have yet to try. I also think that one advantage of MFs over UITFs is that financial institutions offering MFs are more experienced with pooled funds and are more focused on managing the funds as compared to commercial banks whose pooled funds are just considered as additional services. Minimum Holding Period: 1 month to 5 years (varies per institution) Good for medium to long-term investment. 4. Long-term investing in the Stock Market. By that I mean, buying shares of stocks of blue chip companies which you do not intend to sell for 5-10 years or maybe until retirement. Blue chip companies are long-standing companies with good fundamental and foreseeable bright future. These companies have stood the test of times. Who doesn’t want a share of a good-earning company with great possibility to grow even bigger, right? Right now, my chosen brokerage firm is COL Financial but I’m thinking of opening a trading account in PhilEquity Fund. Minimum Holding Period: None. Stay invested for 5 years at least for good returns. Good for long-term investment. Risk: Varies. Not covered by PDIC Insurance since it’s not a deposit account but monitored by the Philippines Stock Exchange. 5. Invest in new skills and knowledge. Invest in relationships/network. Invest in your biggest asset which is yourself. Enroll in yoga or gym sessions. Get that certification you’ve been thinking for so long! Attend those workshops (so many offer these nowadays). Improve every aspect of yourself. You may not be able to reap the fruits in an instant but you can use everything and anything you acquire in your future endeavors. This is the type of investment I’m currently lining myself into, an online writing course, a Philippine tax seminar, be a registered real estate broker or a financial planner. I’m working on it as we speak, only if I have more time, just like when I was still single. So, calling all the singles out there, this type of investment applies to you the best. Don’t let the opportunities pass. Minimum Investment: From free/zero to various amounts. Interest Rate: Depends on you! The returns can be limitless, the possibilities are endless! Risk: None. Well, unless you choose to become idle. I personally recommend not putting all your eggs (i.e. savings) in one basket (i.e. investment type). Diversify your portfolio. I’ll show you how in later posts, stay tuned. Enjoy every type of investment. More importantly, I hope that the above simple investments will fire start your habit of saving and investing in your dreams. Equipped with the above easy investment choices, I also hope you are now less fearful and more inspired to embark on deeper levels of investments which could give you higher returns (the bonds, more on equity type, real estate, and entrepreneurship). Let’s discuss those soon. Lastly, I hope to have prompted your conversion from being a saver to an investor. Happy Investing! Don’t forget to leave your questions and comments below (especially since I don’t discuss thoroughly how the above investments work to keep the post short and sweet) or shoot me an email. Pingback: ♥ #MoneyBliss : How to Diversify your Investments?